All things Yen and mummy!!! : Hair troubles!!! Yen is mixed race she is half Filipino and half Jamaican, her hair has lovely curls but I find her hair is thinner at the front and is much thicker in the back. I want to keep Yens hair out more instead of having it in a pony tail or another style so the front of her hair will grow. However after an hour or so of having her hair out it looks like a comb has never touched her hair before and gets tangled so quick. Its sooooooooo annoying!!! After I use to wash her hair I would put Jasmine oil in it but it doesn't seem to do any justice so now I'm going to start using Soft and precious detangling moisturizer. So I wash her hair with Organic Children shampoo lavender burst. 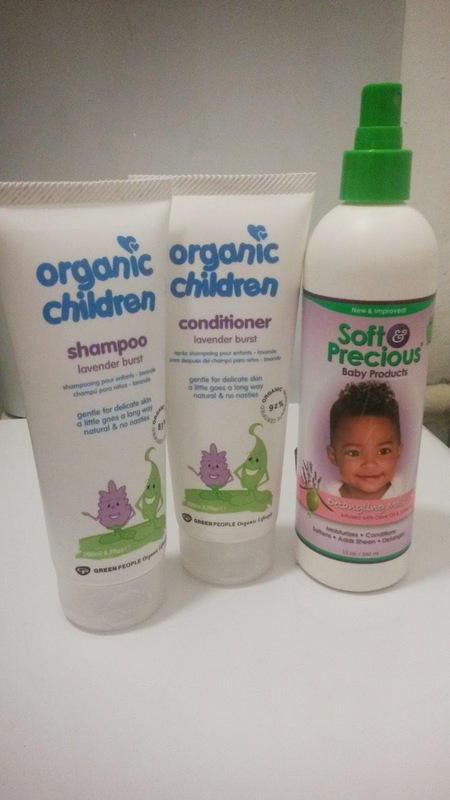 I then condition it with Organic children lavender conditioner. 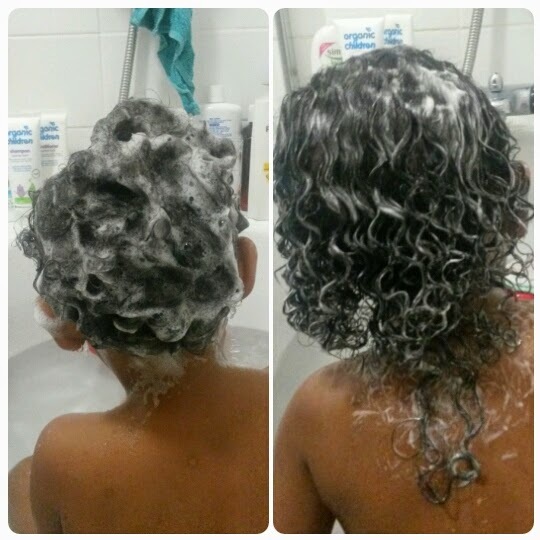 I leave the conditioner in for a few minutes then comb out her hair. 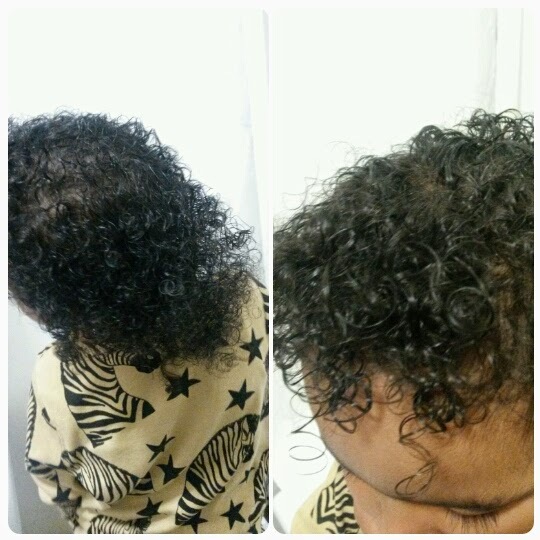 When the conditioner is rinsed out I spray the Soft and precious detangling moisturizer all over her hair. 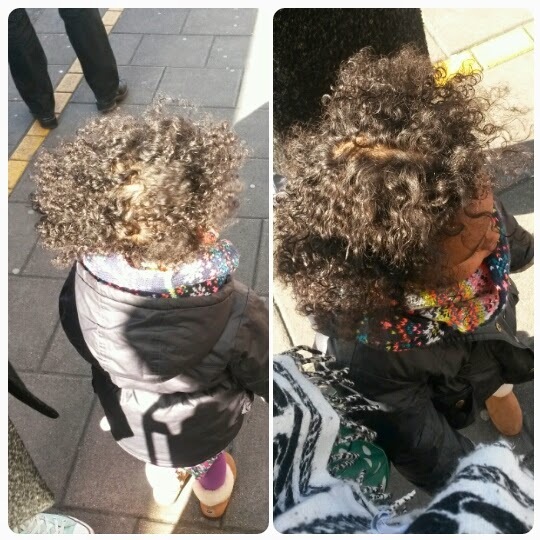 So far Yens hair feels really soft her curls have stayed and it hasn't tangled at the back so far so good woohoo!! !